EA Sports UFC is just a little over a month away now, which seems crazy because we’ve barely seen how the game looks in motion, just a lot of pre-rendered scenes of action. We’ve yet to just see a video of a fight in motion, which is a bit alarming. That being said, if you are going to buy EA Sports UFC you are going to, you probably aren’t concerned with how it will play. 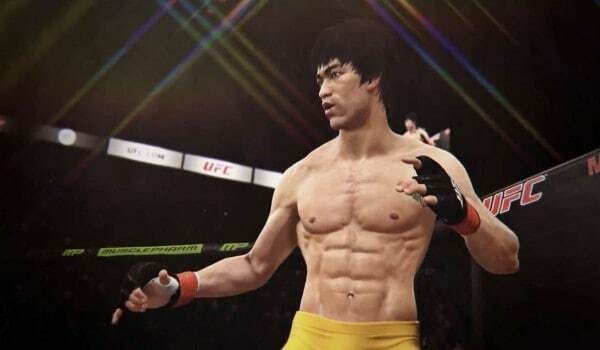 The latest EA Sports UFC footage to be released is a video featuring Bruce Lee, who will be featured heavily in the game. Bruce Lee will be unlockable in the game and also will be automatically unlocked if you pre-order. 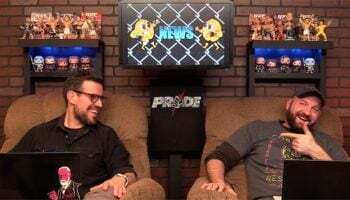 The video shows — again — very little in-game footage and instead footage of Bruce Lee discussing his theories on martial arts, then a few talking heads interviews with Jon Jones, Anthony Pettis and Dana White before showing a few strikes from in-game Bruce Lee.